Hayman is pleased to present the introduction of our new investment portal, Investment Management Services (IMS), which will allow clients the opportunity to view their investment details. Hayman seeks to leverage and expand its platform through the calculated pursuit of acquisition and joint venture opportunities. Always aggressive, but never imprudent, Hayman has earned the reputation as a commercial real estate company with real vision, and a stellar investment portfolio. Hayman’s real estate team’s expertise encompasses all disciplines of real estate investment and management, including acquisition, financing, marketing, leasing and construction management. Hayman’s seasoned professionals have unmatched, hands-on operational experience that has proven to be critical to our decades of success in acquiring and repositioning assets on a national basis. The case studies that follow underscore the effectiveness of our process. For investment opportunities, contact us at investors@haymanco.com. There are no guarantees in real estate investment, but Hayman’s position in the industry provides us the insight to continually perfect our investment strategies. Our focus presently lies in assets with the most room for Hayman to add value and maximize the property’s worth. Hayman Company is one of the nation’s leading, privately owned commercial real estate organizations. Hayman provides full-service capabilities focused on maximizing return on capital investments while managing risk for investors and clients. Over its history, Hayman’s national investment and management portfolio has included tens of thousands of apartments and millions of square feet of commercial properties. Hayman’s expertise encompasses all disciplines of real estate investment and management, including acquisition, financing, marketing, leasing and construction management. Our seasoned professionals have unmatched, hands-on operational experience that has proven to be critical to repositioning assets on a national level. Read through our most recent success stories below. The soil was fertile for Hayman Company to make yet another acquisition, and The Addison of Naperville was the ideal property – significant value-added potential positioned in a strong market. Hayman completed approximately $8 million of interior and exterior renovations with a projected investor return of over 19%. Hayman saw great potential in the garden-style community of Pinnacle Canyon, located at the base of the breathtaking Catalina Mountains. Benefiting from numerous property improvements and enhancements, Hayman operated Pinnacle Canyon with strong occupancy for the entirety of the 3.5-year holding period, ending in an opportunistic sale to an area condominium converter. 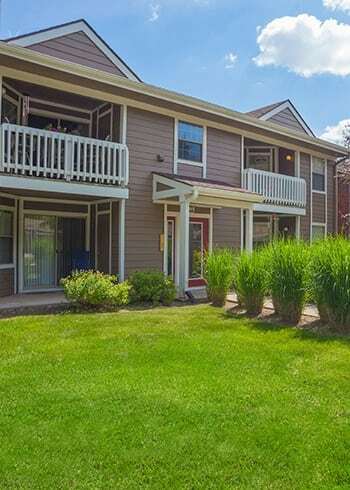 Hayman Company assumed a substantial Fannie Mae loan in order to acquire Cimarron Apartments. This determined acquisition proved fruitful, as two years later the loan was aggressively refinanced at a very favorable interest rate, allowing for a sizeable distribution to equity investors who had contributed to the acquisition only 28 months prior. As one of the best properties in the Grand Prairie area of Dallas/Ft. Worth, Arioso’s niche is to provide Class A apartment living to the upper income renter. Hayman Co. will complete a light update of interior finishes and improve the amenity set to drive long term rent growth and 10% cash on cash returns to our investors. Taking advantage of Houston’s strong economic growth, Hayman Company acquired Lodge at Shadowlake in March, 2014. Hayman Company implemented an interior update program to improve the dated interiors which generates a 35% return on cost and $125 renovation premiums. Immediate cash on cash returns to the investors exceed 10%. Original (1988) apartment interiors are dated and positioned for a significant value-add update and renovation rent increase. Seller maintained physical occupancy at 96% for the three years prior to closing. Great product with all apartments having private entries, washer/dryer connections, through-units, two-story buildings, vaulted ceilings, and low density. Very active area with busy roadways and significant retail concentrations in the immediate area. Purchased for an 8% cap rate. Significantly under-managed by the long-term owner. Rents were too low, expenses too high, and the curb appeal and apartment interiors suffered from years of deferred maintenance. In-fill location near major highways, office parks, and retail concentrations. Very nice suburb with high incomes and home values. Very attractive financing obtained with a 10-year loan term and five-years interest only. Hayman Company’s heavier renovation completely modernized the apartments with new cabinets (replaced Euro cabinets) and counters, opening of kitchens, new faux-wood flooring, lighting, and blinds, resulting in an average renovation rent increase of $177/unit (19%). In addition, non-renovated and renewal rent increases are averaging 7.0%. Hamptons is very desirable rental product with a full-size washer/dryer in every apartment, two-story buildings, numerous windows providing ample light and with a great amenity package with attractive clubhouse, pool, fitness center, racquetball court, tennis courts, and garages/carports. Hamptons strong performance is also due to its excellent location, including being in the Ann Arbor school district where there is very limited new multi-family supply and high home values and incomes. Hayman Company is completing a heavier renovation on the 1975 apartments with new cabinets and counters, opening of kitchens, new flooring, lighting, and blinds. The previously-renovated (2004) apartments are receiving a light renovation. Hayman is achieving an average renovation rent increase of $141/unit (18%). Pines has a nice amenity package with attractive clubhouse, pool, fitness center, and tennis courts. Pines’ strong performance is also due to its excellent location, including being in the Ann Arbor school district where there is very limited new multi-family supply and high home values and incomes.